We were out of projects, out of supplies, and out of motivation. And now, we were almost out of time. My husband Todd and I were sponsors for our church’s youth mission trip to Querétaro, Mexico. We’d visited there a few years in a row, and we knew in general what to expect. A little paint and polish, some late-night tacos, a little talking to others about Jesus. The truth was, no one really seemed to care we were there. As I was unpacking the painting materials, I remember thinking, haven’t we painted this wall before? We were frustrated, the students on the trip were uninspired, and worst of all, the people we had traveled all this way to serve seemed, well . . . uninterested. “Do you remember the orphanage we visited in Tirana?” he asked. He had his back to me, bending over as he cleaned some paintbrushes. Within ten minutes of his question, we left the students with the other adult sponsors and jumped into a taxi, feeling like God was leading us to find an orphanage. Looking back now, it seems so foolish. Silly, even. Right? We didn’t really speak Spanish, we didn’t have that much money with us if we came into trouble, and we were in a city we could have easily gotten lost in. We should have just stayed with our group, stayed safe. But an hour later, we landed in front of a children’s home on a dusty road and knocked at the door, waving good-bye to our taxi driver. When we engaged with the children, I was instantly enchanted. The adults had a few questions for us. What were we doing there? The man shifted his eyes back and forth and then said softly, “The children haven’t had meat in a year, and that window up there is broken.” He waved in the direction of a window above us. And as simple as that, our first mission began. That was 1996 and today we are the Executive Directors of Back2Back Ministries, which has sites ministering to orphans in India, Nigeria, and three cities in Mexico, where I have lived ever since. It started with some hamburgers (which we later found kids hiding under their mattresses) and has grown now to education, outreach, general care, fostercare, pre-emptive care, etc… But I will never forget how we started, just two people whose hands were in the air. When Todd and I arrived in Mexico in 1997, we didn’t know anything, didn’t have any big plan, didn’t speak Spanish—we were just moving in the direction of what felt like a big call. By the end of the first week we had run out of cash. We had brought the rest of our money over the border, enough for what we hoped was one year, in traveler’s checks. We found a bank on that day and waited patiently in line until it was our turn in front of the thick glass window. I slid some checks under the glass and smiled. Surely she understands without my talking that I want the equivalent in pesos, right? The lady slid them back to me and said loudly, “Tienesquefirmar- tunombreaqui. . . .” I had no idea what she’d said, let alone meant. I smiled and pushed them back to her, rubbing my thumb and fingers together—the universal sign for money, right? I shrugged, looking sheepish. I got nothing. “TU. NOMBRE. FIRME. TU. NOMBRE.” This time, with the emphatic pauses, I could tell it was several words strung together, and I excitedly said to Todd, “I heard ‘nombre’. I know that word!” I proceeded to take out a piece of paper and, to confirm I had heard correctly, I printed out the word NOMBRE. Then looking at her questioningly, I showed her my paper through the glass. Rolling her eyes and motioning to the long line forming behind me, she nodded, “Si, nombre.” And she pointed to a line at the bottom of the check, pushing them back to me. I eagerly and neatly printed out “N-O-M-B-R-E” on the line (signing the word ‘name’ on the signature line, instead of actually signing my name). One of my favorite verses still to this day is Zech. 4:10, “Do not despise these small beginnings, for the Lord rejoices to see the work begin.” I know the Lord was looking at me that day and could see all that was coming ahead, the millions we would transfer this year (fifteen years later) around the world in a half dozen currencies. He isn’t stuck in any day, or a particular circumstance, he is over all of it, writing with a master hand the story we get the opportunity to live. To imagine is to lift our eyes and see where we are now is just one step on a long journey, one chapter in the best story He could ever write for us… and the story isn’t over yet. Beth and her husband, Todd, live with their family in Cincinnati, Ohio where they serve as Co-Executive Directors of Back2Back Ministries. After graduating from Indiana University with degrees in education, the Guckenbergers moved to Monterrey, Mexico. Since founding the international arm of Back2Back in 1997, they have hosted thousands of guests on the ministry campus. Between biological, foster, and adopted children, they have raised ten children. Beth is the author of Reckless Faith (Zondervan, 2008), Relentless Hope (Standard Publishing, 2010), Tales of the Not Forgotten (Standard Publishing, 2012), Tales of the Defended Ones (Standard Publishing, 2013),Tales of the Ones Led Out (Standard Publishing, 2014) and Tales of the Ones He Won’t Let Go (Standard Publishing, 2014). 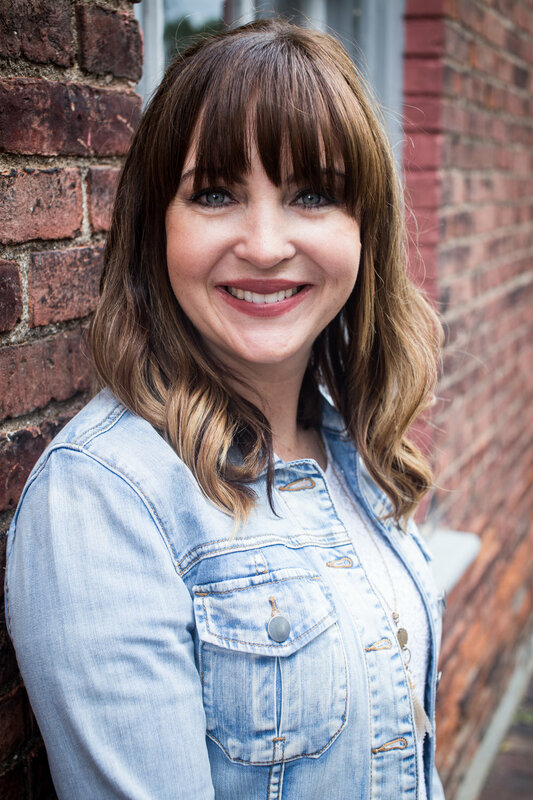 Beth is the author of Reckless Faith (Zondervan, 2008), Relentless Hope (Standard Publishing, 2010), Tales of the Not Forgotten (Standard Publishing, 2012), Tales of the Defended Ones (Standard Publishing, 2013),Tales of the Ones Led Out (Standard Publishing, 2014) and Tales of the Ones He Won’t Let Go (Standard Publishing, 2014).Beth is the recipient of the the 2013 International Network of Children’s Ministry Legacy Award and the Cincinnati Christian University Salute to Leaders Award for her and Back2Back’s impact on children internationally. She travels and speaks regularly at conferences, youth gatherings and church services. Her style is based in story-telling and she draws from her vast field experience as a missionary and parent of nine children for illustrations of biblical concepts. Jun 19 Hello. My Name Is Redeemed.